01. Why sail with S/Y Deminata-Alfa Sailing Yachts? 02. How do I book with Alfa Sailing Yachts? 03. How and when should I pay? 04. What qualifications are required to charter S/Y Deminata? 05. What about skippered charters? 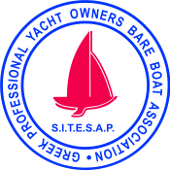 Why hire a professional skipper? 06. When does the charter start and end? 07. What does the charter fee include? 08. What is not included in the charter fee? 09. What is the cancellation policy of Alfa Sailing Yachts? 10. What is the security deposit? 11. What should I bring with me? 12. Yacht redelivery date and time. 13. How does provisioning work? 14. What is the check out process?